Bleeding Heart flowers have always captured my imagination. It is like baring one's soul and giving love to the world unconditionally just like mothers do. I also found this beautiful poem by Helen Steiner Rice from this website Indobase Holidays to go with this card. This is my card where the front depicts the scene of the April shower. 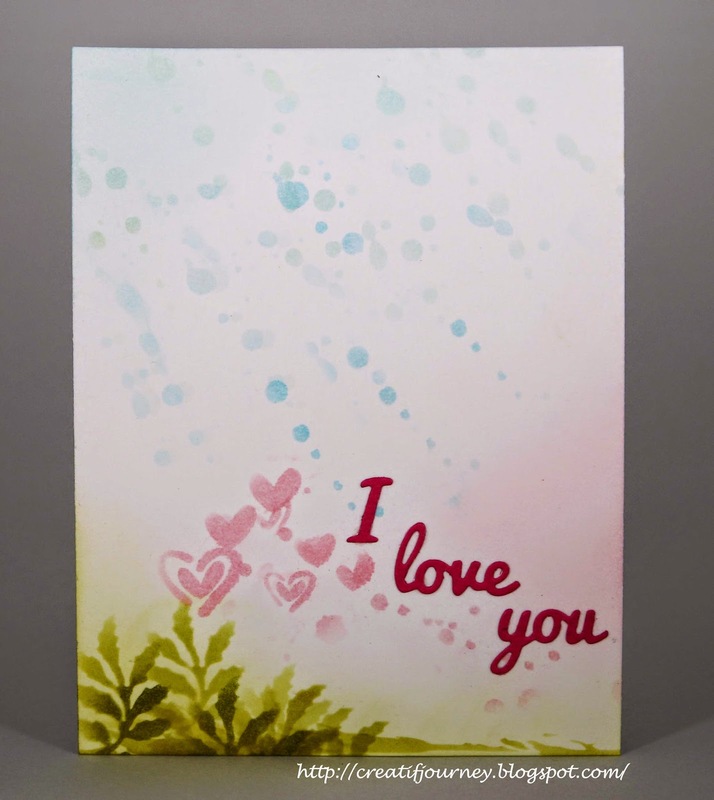 Inside the card, the bleeding heart flowers and leaves are still cover with some sparkles from the rain droplets. 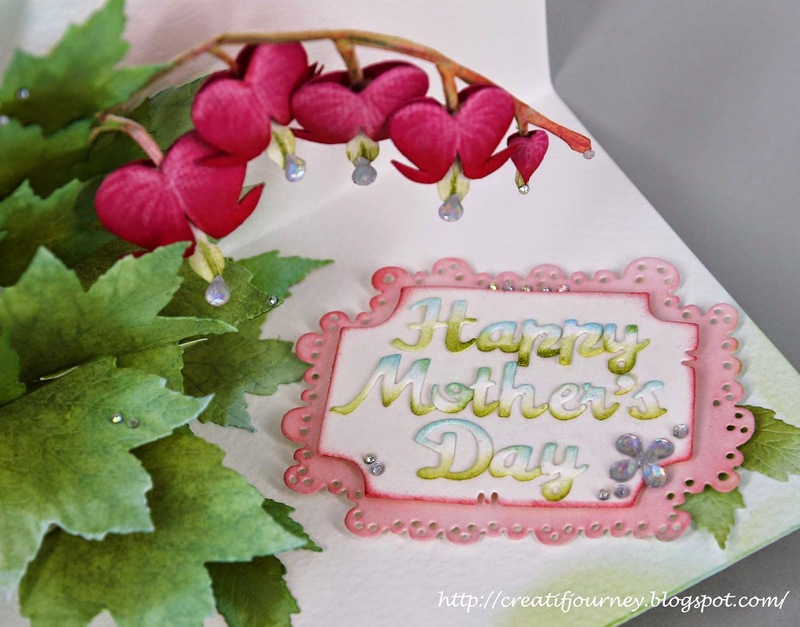 Mee them leaves and flowers give nice dimension to your card. Just gorgeous. Thanks for joining us in the Cheery Lynn Designs challenge. Best of luck to you. Very cute! Love the colors! Thanks for joining us at Party Time Tuesdays! Love this design! You make pop up cards very interesting! Thanks for playing with us this week at 613 Avenue Create! WOW! This is just beautiful and so unique! LOVE IT! Thanks so much for playing in our ‘MAY FLOWERS’ challenge at Dies R Us! Please come back again soon! This is wonderful, Mee, what beautiful flowers you have created. Good luck and thanks for joining in on the fun at Cheery Lynn Designs challenge. Did you hand draw the bleeding hearts or is it a stamp? If it's a stamp, can you tell where it's from. I love bleeding hearts. I actually drew them. I have copied the template before making them And planning to borrow a scanner. WOW your hand drawn and colored flowers look stunning...such a pretty design...is it a pop up ? Thank you very much for your kind words. This is a pop-up card. This weekend, I will scan the template and do a quick write-up on how I do this. What a surprisingly wonderful card. Thanks for joining us for our 'April Showers bring May Flowers' challenge #24. I have just seen your card on facebook and love it, I have a fondness for Bleeding Heart plants and think your drawing skills are wonderful. Really, really like it. WOW, what a wonderful surprise ont he inside. Beautiful. WOW! this is gorgeous!!! 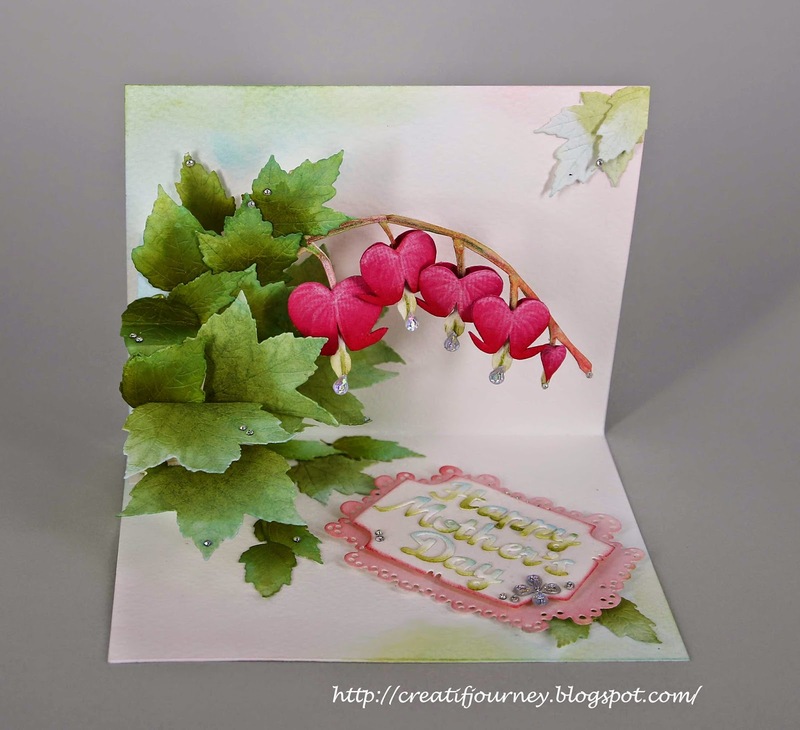 bleeding hearts were my grandmothers favorites :) thank you for playing a long with us at simon says stamp wednesday challenge!! These are beautiful. I have the Heartfelt Creation bleeding heart die. Yours are more impressive. I can't wait until this weekend when you post how to do this. Thank you so much for sharing your beautiful work and poem. WOW.........this really is stunning & sooooo beautiful!!!!!! Thank you for joining us over at Noor Design Uk, good luck & hope you will join us next month. This is a beautiful work of art! Thanks for playing along with Scor-Pal More Than One Score challenge!